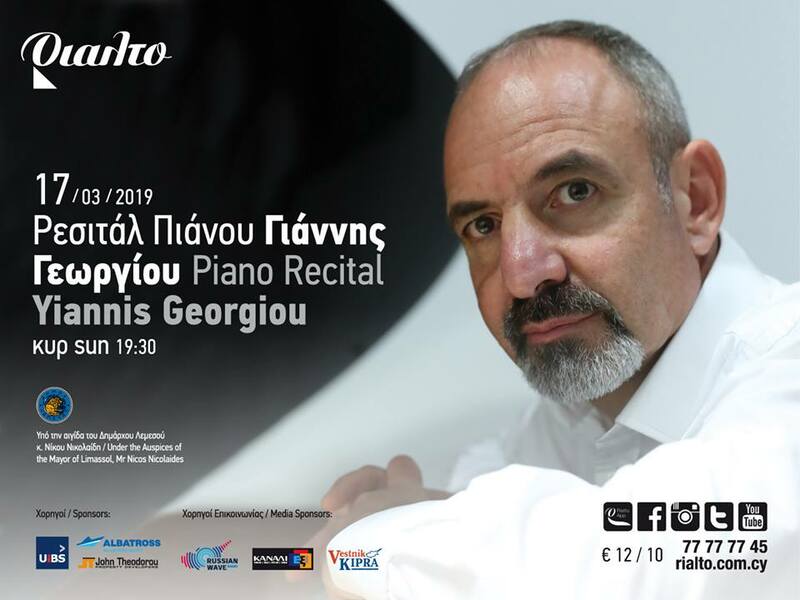 The highly acclaimed Cypriot pianist Yiannis Georgiou will be presenting an exciting recital programme with distinctly different musical styles. In his recital at the Rialto Theatre in Limassol on the 17 March, the virtuoso soloist will be interpreting works by the great masters, Mozart, Debussy, Brahms and Rachmaninoff, in four varied groups, alongside works by Scarlatti and Scriabin. A musical journey through contrasting musical languages, landscapes and means of expression. Yiannis Georgiou was born in London and started playing the piano at the age of six. He spent his childhood in both Cyprus and in England where he attended the Royal College of Music Junior Department. He studied at Trinity College of Music in London, with Alexander Ardakov and John Bingham, where he received numerous competition prizes and graduated with the DipTCL Performer’s Diploma. He continued his studies in Moscow, at the Tchaikovsky Conservatoire, initially with Professor Valery Kastelsky, a student of the legendary Heinrich Neuhaus, and finally with Pavel Nersessian. He graduated with the Aspirant Diploma. 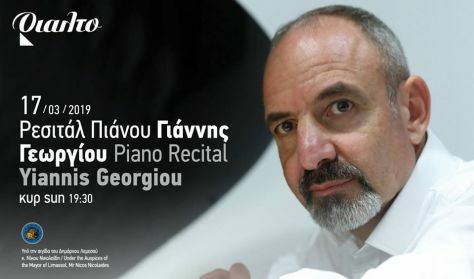 Yiannis Georgiou is the only Cypriot Pianist to have received this award. Yiannis has performed as a soloist in the UK, Greece, Cyprus, Spain, Switzerland and Germany. The recital is held under the auspices of the Mayor of Limassol, Mr Nicos Nicolaides.